Enjoy celebrity look with our new collection of stylish party jewelry set. 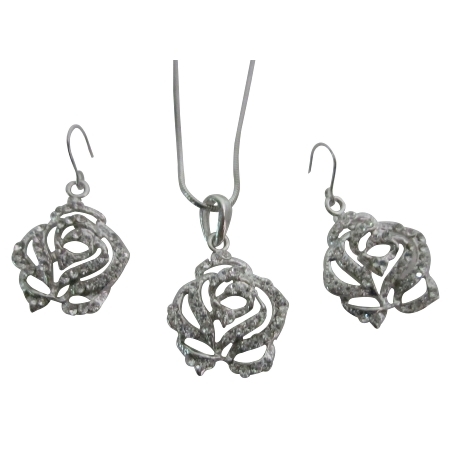 This is a Lady rose necklace & earring set lovely clear rhinestone rose pendant earrings buy Christmas gifts. Very pretty simple yet elegant everyday necklace earrings also be great as Bridesmaidjewelry wedding party favors jewelry.